Sometimes when you are working on your desktop and want to send a text message to your friend, at that time you have to stop your desktop work and use your phone to send a text message. 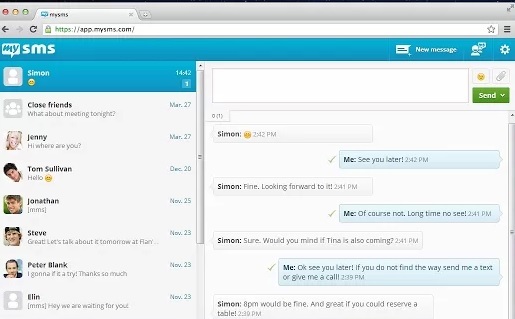 Today we found a new application called MySms, which allows you to send, receive and store text messages on your chrome browser. The best part of the application is that it works on both Android and iOS smartphones. In simple words we can say that it helps you to send and receive messages on your computer just as you would on your smartphone. There are lots of other addon which works like the same such as Mightytext chrome addon, which works only with the Android phones. The My Sms app also provides a free texting service globally to other MySMS users, same like the Whatsapp sms service. All you have to install the Google Chrome addon on your chrome browser and install the application on your Android and iOS smartphone to get started. So lets take a look how the application works on the desktop. 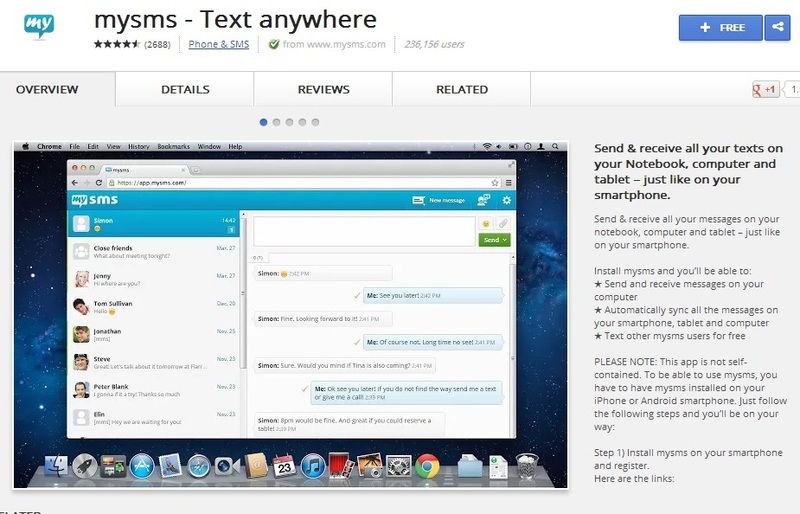 Go to the Google Chrome web store and search for the MySMS application and install the addon on your chrome browser. Or you can find the download link of the addon at the end of this post. Once the addon is installed on your browse, go the web application page on your chrome browser or type chrome://apps/ on your browser. Here you will see the new mysms – text anywhere blue icon, click on it to create a free account with the application. To Create a new account you will use your Google account, once the account is created register your phone whit the application. Now the application will ask you install the application on your smartphone. If you are the Android user then click on the play store link or if you are the iOS user then click on the iTunes stores link and install the application on your device. Once the application is installed on your device, use the email ID and phone number that you registered with the application. Once the mobile number is activated on the mobile phone you are ready to use the servcie on your Google chrome browser. 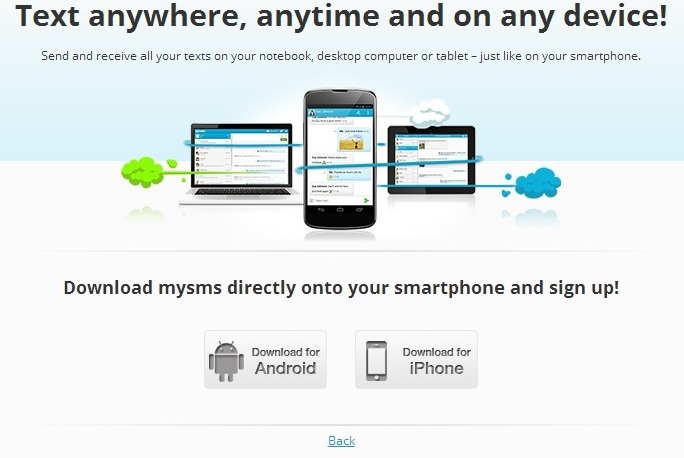 Open this link https://app.mysms.com/#mysmson you browser and you will see the list of all the message with phone number and contact name on your chrome browser. From here you will send and receive all text messages on your desktop. To download the application on your desktop head to the MySMS website to install the app for Chrome, Windows or Mac. Or use our below mention link to download the app.